Let’s take a step back for a minute to focus on stocks that are set to outperform for more than just the next few months. We want stocks that can outperform over the next few years. That way we can look at the bigger picture — does this company have what it takes to set itself apart and maintain growth over the long-term? These are the crucial questions we need to address to find the most compelling stocks. And these stocks should also provide attractive long-term rewards without the short-term hassle of having to buy/ sell every single time sentiment shifts. 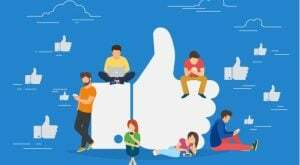 Facebook (NASDAQ:FB) remains the largest social media platform in the world, with around 2.3 billion monthly active users. And in second place is FB’s Instagram — arguably the fastest-growing Social Media platform. Nonetheless there’s still space for massive growth and monetization in the years ahead. Five-star RBC Capital analyst Mark Mahaney (Track Record & Ratings) singles out FB as his No. 1 long-term internet stock. “We believe that FB’s current low market shares (less than mid-single-digit % of Global Total Advertising) will help it maintain premium growth for a long time” explains Mahaney. He estimates that global ad marketing represents a whopping $1 trillion market opportunity. “We’ll simply highlight here what we believe is an intrinsically very attractive valuation, very strong fundamentals ($15B in FCF even in deep investment mode), and a compelling value proposition to both consumers (2.7B and counting…) & advertisers (Google-like ROI)” adds the analyst. Big catalysts for FB include a successful transition to stories and video; monetizing Instagram and WhatsApp; and future innovations utilizing FB’s AR, VI and AI expertise. Overall this “strong buy” stock has received 31 recent buy ratings from top-performing analysts. That’s versus just six hold ratings. Want to learn more about Facebook? Get the free FB Stock Research Report. S Holdings (NASDAQ:GDS) is one of the leading datacenter providers in China. Unlike its rivals, GDS is focused on being a carrier-neutral datacenter operator with national reach. 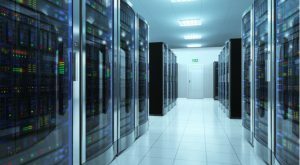 The company targets high-performance self-developed datacenters located in key cities. What I like most about GDS stock is that the Chinese datacenter market has such high barriers to entry. It also has limited competitive supply. This is due to the market structure, government regulation and limited capital focus by independent datacenter peers. According to Top 25 RBC Capital analyst Jonathan Atkin (Track Record & Ratings), “GDS is well-positioned to capitalize on strong secular and macro trends, such as faster-than-average GDP and increased IT outsourcing.” He has a $53 price target on the stock for 34% upside potential. “We believe GDS has potential to outperform its peers given its positioning in an under-penetrated, growing market with strong customer demand trends and limited competitive supply” he wrote. According to Atkin, the biggest risk (under the company’s control) is management’s ability to successfully manage, plan and execute its expansion plan. Get the GDS Stock Research Report. Sportswear retailer Foot Locker (NYSE:FL) actually holds a cautiously optimistic “moderate buy” Street consensus. However, shifting to looking at only ratings from the best-performing analysts reveals a “strong buy” top analyst consensus. Most recently, five-star Baird analyst Jonathan Komp (Track Record & Ratings) reiterated his buy rating with a $77 price target. If you are looking for retail exposure, Komp advises turning to the more attractively priced Foot Locker over Nike (NYSE:NKE). The combination of rapidly growing smaller footwear brands coupled with Nike’s comeback is a clear positive for Foot Locker, says the analyst. Indeed, the stock has received a slew of recent buy ratings following its investor day on March 28. At the event FL revealed a compelling five-year financial plan to become a more customer-centric organization. This involves everything from new loyalty cards to new store formats and better digital capabilities. Analysts agree this is the right path to take. “This is not your dad’s Foot Locker. Foot Locker now sees itself as a demand creator and not just a product picker; it believes in relationships over transactions” summed up Pivotal Research’s Mitch Kummetz. Get the FL Stock Research Report. So Foot Locker over Nike … and AT&T (NYSE:T) over Verizon (NYSE:VZ). That’s the verdict of top Raymond James analyst Frank Louthan (Track Record & Ratings). He has just upgraded dividend aristocrat AT&T from “hold” to “buy” with a price target of $34. In the last year, Verizon has soared 23%, while AT&T plunged 9%. The stock suffered due to concerns over the massive Time Warner deal and slowing customer growth. However, the analyst believes that cutting costs will improve profitability. He is also excited about the release of an enhanced streaming service and a more complete channel later this year. Overall, AT&T holds a “strong buy” Street consensus, with a $35 average analyst price target. Note that shares are already improving, with AT&T up 13% year-to-date. Plus the stock pays out a hefty dividend. With a yield of 6.3%, investors currently enjoy a $2.04 annualized dividend (paid quarterly) following no less than 34 years of dividend growth. Get the T Stock Research Report. Walt Disney (NYSE:DIS) has laid out its long-term strategy, and it’s all about taking its content direct-to-consumer (DTC). The company is setting its streaming service apart with a decidedly kids-friendly focus. And at just $6.99 per month, Disney+ is much cheaper than Netflix’s (NASDAQ:NFLX) $12.99 monthly plan. On Nov. 12, 2019, the DIS OTT service will launch domestically, and it is already gearing up investments and pulling back on licensing. With the acquisition of assets from Fox, DIS can now include key 21st Century Fox assets. This includes classics like “The Simpsons” and National Geographic. Disney will also include its entire motion picture collection and original content created specifically for the platform. “We see DIS’s evolution from the world’s best family content company to a global DTC player as reason to drive a sustainable rerating” cheers RBC Capital analyst Steven Cahall (Track Record & Ratings). He has a Top Pick rating on DIS, alongside a $140 price target (8% upside potential). This optimism is shared by the Street. Disney has a “strong buy” analyst consensus based on all the ratings received over the last three months. Analysts rushed to signal their support for the stock after management provided a bullish target for the Disney+ streaming service of 60 million – 90 million subscribers by fiscal 2024. Shares are also up 19% year-to-date. Get the DIS Stock Research Report. Nutrien (NYSE:NTR) is the world’s largest fertilizer producer and ag input retailer. This “strong buy” stock — with 100% Street support — was formed through the merger of Agrium and PotashCorp in 2018. 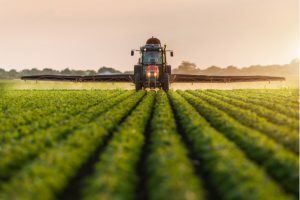 “We believe the company has built the most diverse, vertically integrated agricultural input business with an attractive earnings profile, growing free cash flows, and solid balance sheet” cheers RBC Capital’s Andrew Wong (Track Record & Ratings). Wong has a $65 price target on the stock, which suggests 23% upside from current levels. Potential catalysts include realizing the $600 million synergy target and returning capital to shareholders. Indeed the company recently announced approval to buy back 5% of shares, worth approx. $1.6 billion. “We expect Nutrien to generate $8-10B in FCF from 2019-2021, which should be deployed through a combination of share buybacks, dividend increases and accretive Retail M&A” says Wong. Already NTR pays out an annualized dividend of $1.72 on a 3.3% dividend yield. Get the NTR Stock Research Report. 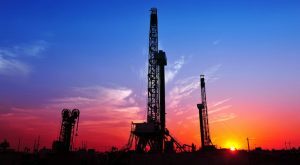 Diamondback Energy (NASDAQ:FANG) is a Texas fracker that offers a trifecta of reasons to attract both investors and potential suitors alike. The company exhibits an attractive valuation, free cash flow visibility and numerous value enhancing options. Following the close of its $9 billion acquisition of Energen last November, Diamondback has one of the strongest drilling inventories in the Permian Basin. FANG doesn’t need a takeover to reward investors, as the company is heavily tilted towards crude oil production, where the underlying price is up 40% year-to-date to $63 a barrel. Diamondback’s low-cost asset base means it can also remain profitable, even if oil moves back down toward the $50’s. What’s more, Diamondback started paying a dividend last year. That was followed by an announcement that it intends a 50% raise in 2019, to 75 cents a share (0.7% yield). Get the FANG Stock Research Report. 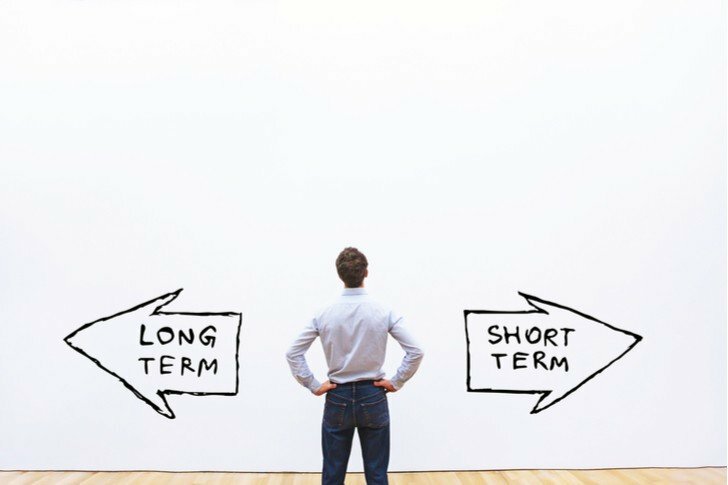 Article printed from InvestorPlace Media, https://investorplace.com/2019/04/7-stocks-that-can-outperform-for-years/.